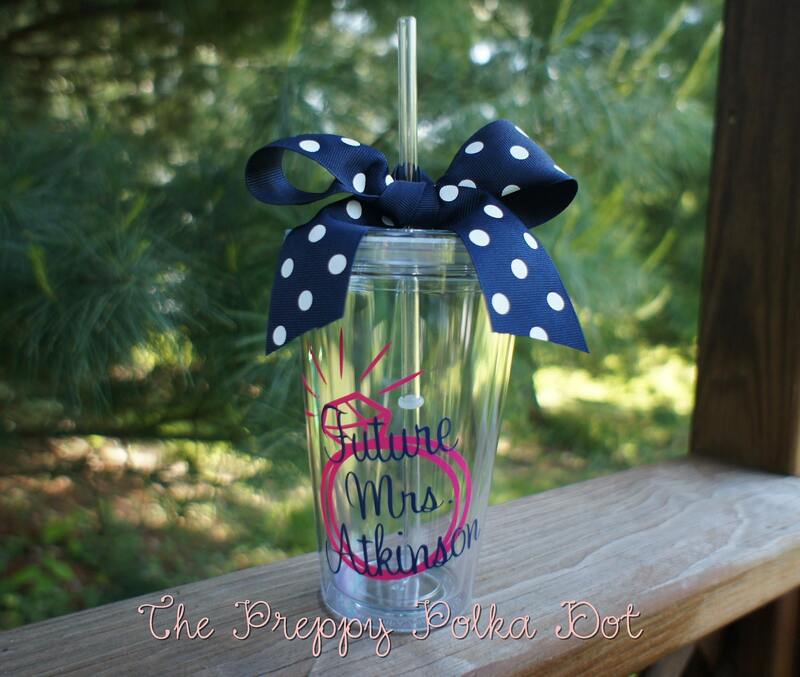 If you are a new bride-to-be or know of one- these cups are a must! Wedding planning just got a whole lot more fun! These make a very sweet engagement gift or a gift for yourself. Choose two of the bride's favorite colors or two of the wedding color to make this a custom piece that will be treasured for years.